Good fat?!? Believe it or not, all fat isn’t bad for us. Our bodies need fat for energy and protection of our organs. In the past few years avocados have become a popular, yet relatively fatty, food fad. Because avocados are so popular, let’s take a look at them. Of these, saturated fat is the worst for our bodies because it is densely packed and more difficult for us to break down. Monounsaturated fats are not packed as tightly together, making them easier to break down, and therefore healthier. Polyunsaturated fats are even more loosely packed and even healthier. Higher amounts of these unsaturated fats are very healthy for our hearts! Avocados also provide heart healthy vitamins including folate, vitamin E, C & B6 and potassium. In addition, avocados contain the phytonutrient, glutathione, which is a cholesterol lowering plant sterol that can also protect against cancer. Lutein is another phyonutrient found in avocados that helps to promote healthy vision. So overall, avocado is a very healthy choice of fat for us to consume, however it is still fatty. Because of this, we should think of it as more of a condiment, like mayonnaise, and use it in smaller potions. Stove top: Whisk egg in a bowl with spices. Pour into small pan over medium heat. Scramble the eggs until fully cooked. 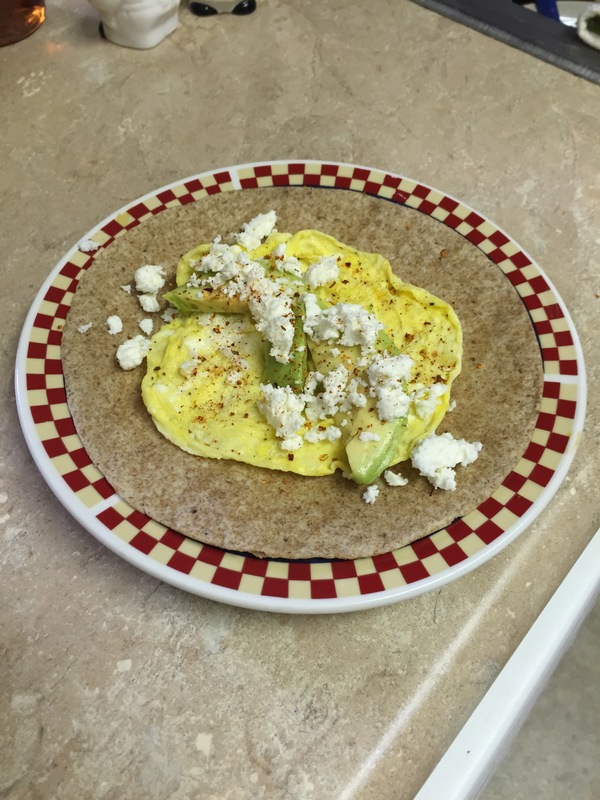 Put eggs on the burrito and top with avocado and cheese. Roll burrito up and enjoy! Microwave: Whisk eggs and seasoning until blended in an oiled, microwave safe bowl. Microwave for 1 minute. If egg not fully cooked, microwave for an addition 15 -30 seconds. Put eggs on the burrito and top with avocado and cheese. Roll burrito up and enjoy!